What are they Sky Overlays ? 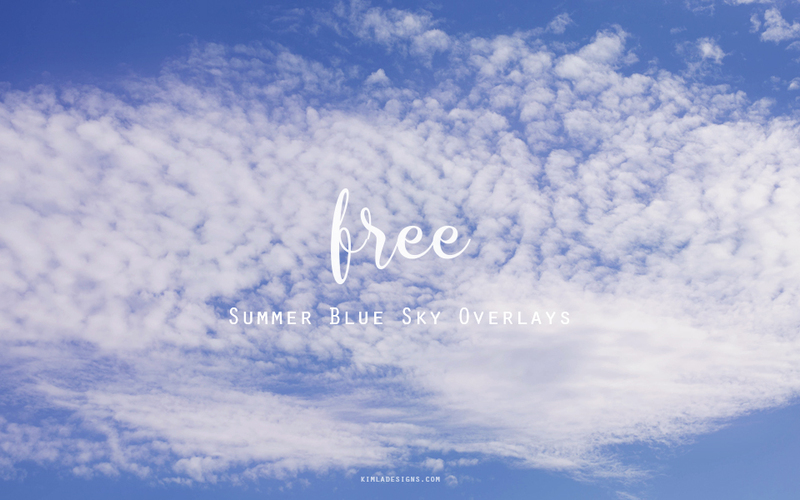 Sky overlays are simply time saving tools for any photographer who like to create beautiful, eye catching images. These are high quality images captured with camera, most of the times edited and ready to use in any software supporting layers - PS CC, PS C+, PSE, Gimp etc. Like with any overlay the whole trick is to just mix/blend sky overlay with the picture and replace, dull boring sky with something more interesting. There is a easy, 4 steps tutorial you can follow here. It has been created with Adobe PS CC but the whole process can be repeat in any software. In very short - place sky overlay over your picture layer, change mode of the sky overlay for Multiply, add a layer mask and mask off with the soft brush these parts of the overlay around the people or over the background. Always zoom in. You can blur your sky overlay or lower opacity of it, or even made a little color correction here. Just be creative! 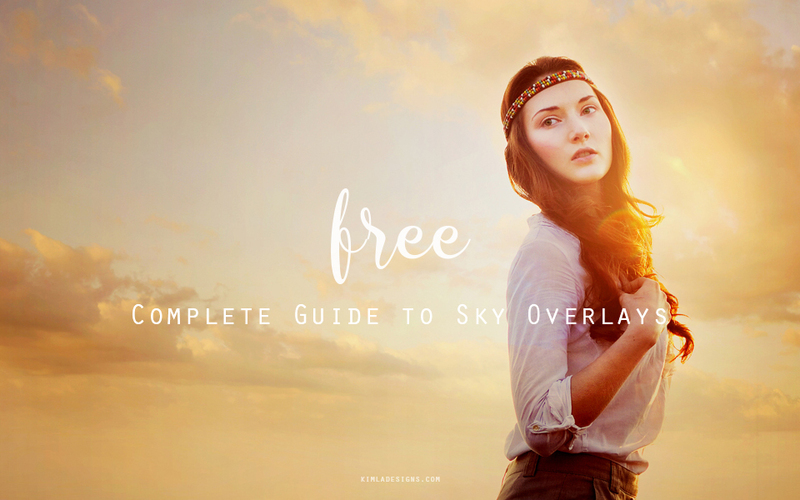 There are many Sky Overlays and we are going to talk about it later in this post. It can be hard to pick the right one. Some colors and clouds can be just too much for our picture. Before you start the search, think about your picture first. What time of the day the shoot took place, what colors are dominant, search for light source, if there are people on your picture check how the light and shadows are placed on their faces. If horizon line is pretty tricky one, think about how sky overlay will blend with it. 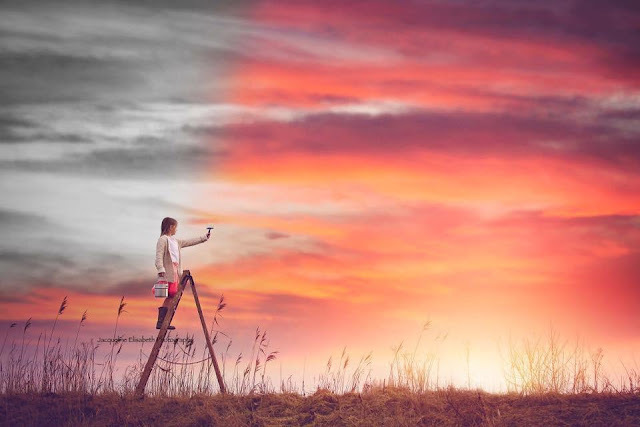 Sky overlay should match the picture and we are all about the most natural look possibly. You might like to check our Sky Overlays Collection for many beautiful, high quality sky overlays. These sky overlays has been collected for a few years now. We are rather obsessed with photographing skies so there are warm sunset skies, cloudy day overlays, dramatic ones and many, many more. We are sure this collection will grow. 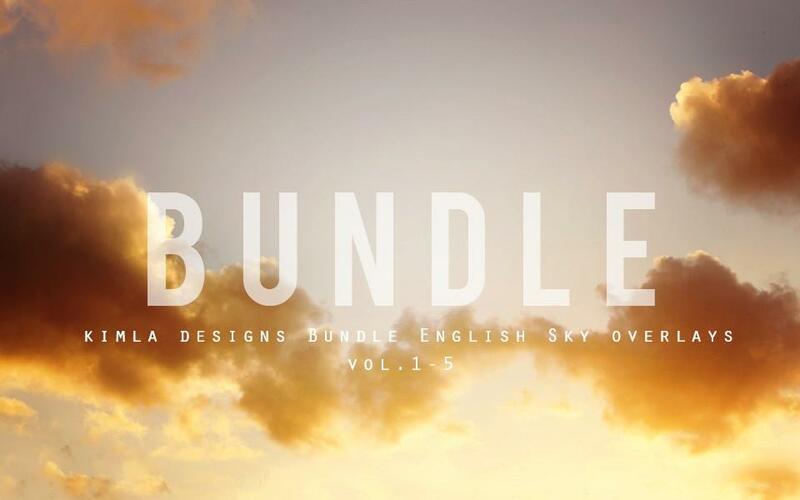 Use ''kimlaskylove'' at the checkout and Save 30% off when buying Bundle English Sky Overlays. 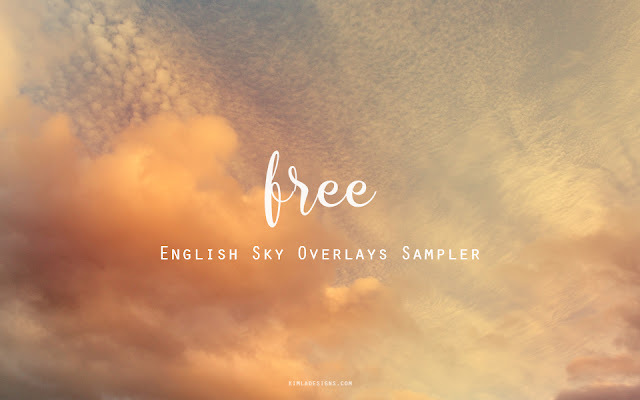 There is a English Sky Overlays sampler pack available to download here.